The 1900 Park Fare menu is a selection of buffet items which will keep even the pickiest eater happy. 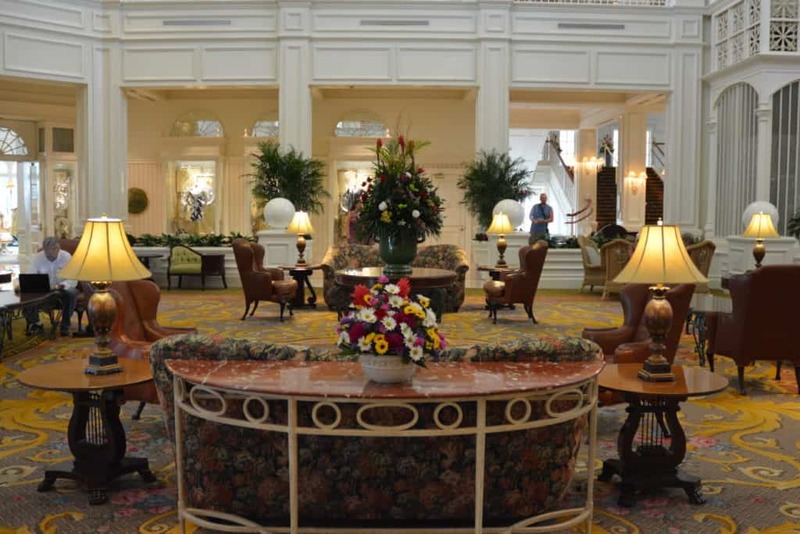 1900 Park Fare is located inside Disney’s Grand Floridian Resort Hotel and offers a breakfast and dinner buffet. One of the main attractions of the dinner buffet is that Disney Princess Cinderella is in attendance. This is one of the best ways to meet Cinderella in all of the Disney theme parks so this is a particularly popular venue. As always we visited the restaurant with our various special dietary requirements. We have 2 family members who need gluten-free food, two children are vegetarian and one is vegan. Disney World restaurants are always excellent when dealing with special dietary requests. 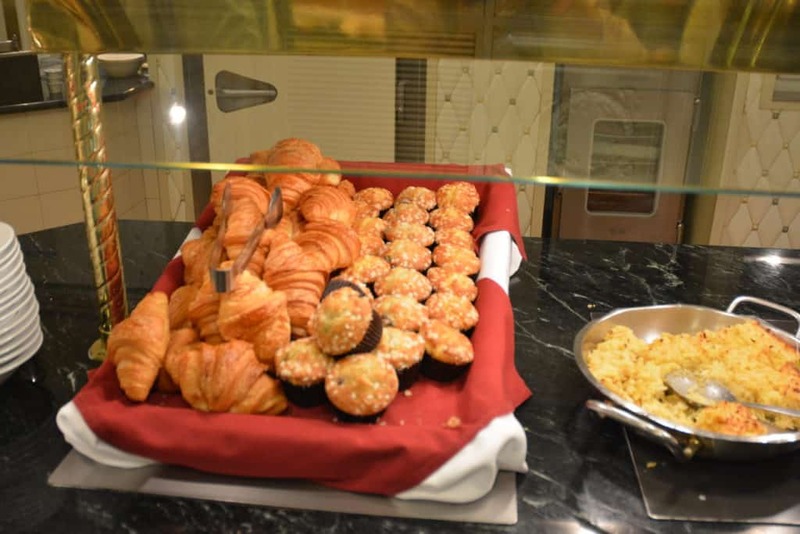 On a recent visit for breakfast, a lot of the buffet was already gluten-free. The real treat was the gluten-free vegan pancakes and waffles which the chef brought out for us. 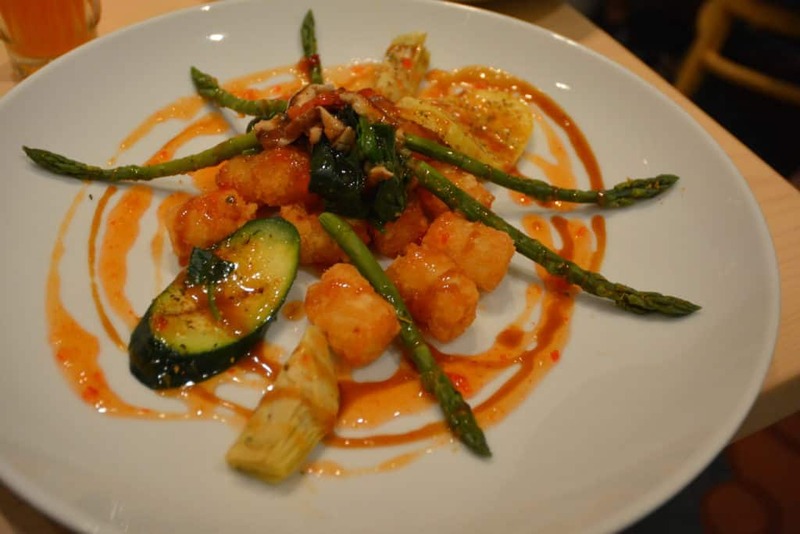 The chef at 1900 Park Fare was extremely accommodating in creating vegan dishes. The picture above is of one of his creations, which was delicious. 1900 Park Fare is a very lively restaurant venue. The tables are pretty close together and it always seems to be very busy with wait staff constantly moving quickly to get the tables cleared and the drinks served. That said our waitress was very attentive. 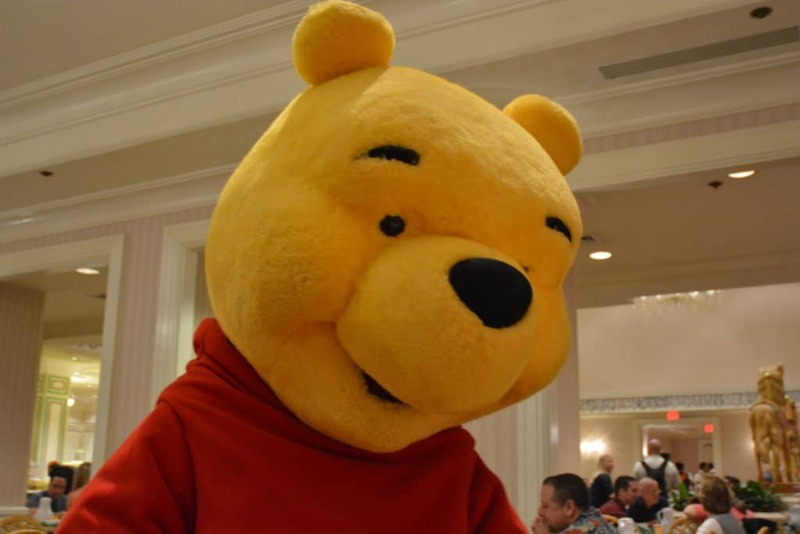 The characters do an excellent job of visiting each table and spending time with the guests. Expect a loud, high energy experience with good quality buffet food and you will not be disappointed at 1900 Park Fare. 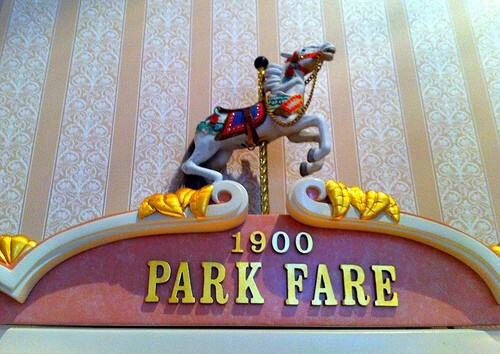 Each of the 1900 Park Fare meals equals one Disney Dining Plan full-service meal credit. Tables of Wonderland is also accepted but is subject to block out days on Mother’s Day, Easter Sunday, Independence Day, Thanksgiving Day, Christmas Eve, Christmas Day, New Year’s Eve and New Year’s Day and the standard block out weeks. The menu does vary from time to time but the basics are usually the same. There is a low buffet table for the kids so that they can reach to help themselves to some of their favorite items. The price of the 1900 Park Fare breakfast is $29.00 to $36.00 for adults and between $17.00 to $22.00 for children aged 3 to 9. Children under 3 are free. These prices are correct as at January 2017 and include tax but not gratuity. This restaurant has higher Holiday pricing at popular times of the year – this explains why there is a range of pricing. The characters who appear include Alice in Wonderland, The Mad Hatter, Mary Poppins, Winnie the Pooh, and Tigger. As always these characters are not guaranteed to be there on the day that you visit. A selection sliced breads, croissants, English muffins, bagels, pecan sticky bun, strawberry and apple turnovers, cheese danish, apple, granola and blueberry muffins, cream cheese, Boursin cream cheese, strawberry jam and grape jelly. Assorted yogurts, fresh fruit including strawberries, cottage cheese, cream rice ambrosia, stewed plums, chilled strawberry soup, an assortment of cereals, oatmeal, grits, granola, ice cream with toppings, peaches, pears, applesauce, Jello-O, Rice Krispie Treats, smoked salmon and capers, assorted varieties of cream cheese. Chef cooked custom eggs and omelets with assorted toppings including mushroom,provolone,sausage, peppers and mozzarella, bacon, sausage links, carved ham, eggs benedict with lobster sauce scrambled eggs, cheese blintz, strawberry melba, apple cobbler, peach and white chocolate bread pudding, vanilla sauce, blueberry pancakes, corned beef hash, Spanish Scramble, mini pancakes, Mickey waffles,French toast, country-style biscuits and gravy, grits, oatmeal and breakfast potatoes with cheese. There is also a Carving Station. Cheesy scrambled eggs, Mickey waffles with old-fashioned syrup, bacon, sausage, breakfast pastries and potato puffs. The big draw here is that Cinderella is in attendance. 1900 Park Fare Menu for dinner really is one of the very best places in the whole of Walt Disney World to see Cinderella. Her Prince Charming is with her as well as her stepsisters Anastasia and Drizella and her stepmother Lady Tremaine. Again comes the warning that character appearances cannot be guaranteed. Some characters may only appear in the lobby whilst others will visit you at your table. Mixed Green and Caesar Salad, Various Salad Dressings, Greek Salad, Broccoli Salad, Tomato and Mozzarella Salad, Ambrosia, Macaroni Salad, Peel and Eat Shrimp and Apple with Port Vinaigrette. A selection of coups which includes Conch Chowder, Cream of Mushroom, Tomato Bisque and Floridian Chilled Strawberry Soup. Sweet Potato, Mashed Potato, Carrot and Broccoli Medley, Sauteed Squash with Chives, Brown Gravy, Niblet Corn. Spinach and Strawberry Salad, Cornbread Salad, Farro Salad, Kale/Spinach/Arugula Salad, Fruit Salad, Assorted Cheeses, Seasonal Broccoli Salad, Marinated Cucumber Salad, Edamame Salad, Potato Salad, Watercress Salad, Seasonal Fruit Salad, Tomato-Mozzarella Salad, Five Bean Salad, Broccoli Slaw, Couscous Salad,Tossed Caesar Salad, Mixed Greens, and Vegan Noodle Salad. Apple Cobbler, Soft Serve Ice cream, Brownies, Bread Pudding, Rice Krispie Treats, Key Lime Tarts, Lemon Cheesecake Tart, Linzer Torte, Chocolate Chip Cookies. Macaroni and Cheese, Pizza, Niblet Corn, Chicken Nuggets, Pasta with Olive Oil, Cheese Ravioli, Broccoli and Hot Dogs. There is also a Taco bar and assorted toppings so that the kids can make what they like.